Does Theatre Have the Capacity to Truly Move People to Action? Theatre is a powerful medium. Beyond the capacity to move and entertain us, theatre also has the potential to make us think, question and even take action. 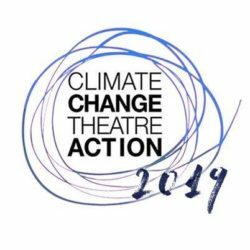 We have put together an evening’s private reading and discussion here in Honolulu, inspired by Climate Change Theatre Action (CCTA), to investigate the role of theatre in speaking out about environmental and climate change. In addition to a range of local artists, activists and performers, the Kokua Hawaii Foundation will be participating as well, to contribute to our discussion. Please join us on Thursday evening, November 9 at the Maryknoll Grade school ‘Drama Studio’ for some eats, reading and a discussion.